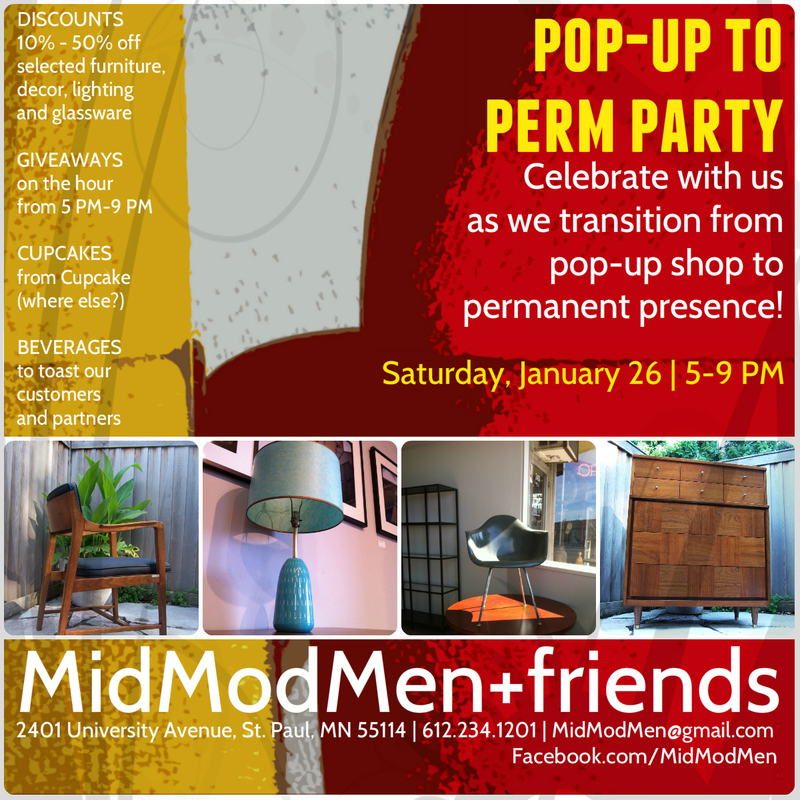 MidModMen+friends is hosting an in-store party January 26 from 5 to 9 PM to celebrate its decision to become a long-term retail destination for buyers of mid century and modern furniture, lighting, decor and glassware. The party will be in the store at 2401 University Avenue in St. Paul, MN. There will be discount pricing throughout the weekend on many items in stock, and during the party there will be multiple prize giveaways and refreshments — including cupcakes from the award-winning Cupcake cafe. Attendees can RSVP to the party here. There is free on-street parking in the neighborhood. To learn more about MidModMen+friends, including a selection of current inventory, visit their Facebook page.